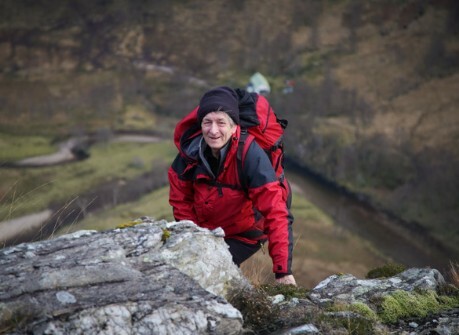 The prestigious Scottish Award for Excellence in Mountain Culture 2019 is to go to Noel Williams, inspirational high school teacher, author of respected mountain guides, founding member of the Lochaber Geopark, retired member of Lochaber Mountain Rescue and accomplished hill runner. Nominated by the public and his peers as a mountain hero who celebrates achievement, accomplishment and the spirit of adventure, Noel Williams, from Torlundy, near Fort William, joins the Fort William Mountain Festival Hall of Fame as the 2019 recipient of The Scottish Award for Excellence in Mountain Culture in its 12th year. He joins previous esteemed winners that include Cameron McNeish, Dr Adam Watson, Jimmy Marshall, Myrtle Simpson and Ian Sykes. The Award is sponsored by leading Highland employer, Liberty British Aluminium, whose smelter is located at the foot of Ben Nevis just outside Fort William. The Scottish Award for Excellence in Mountain Culture will be presented to Noel Williams at a ceremony on 23 February during the Fort William Mountain Festival 2019, which runs in and around Fort William and Lochaber from 20 to 24 February. The 5th Scottish Youth Ambassador for Mountain Culture will be announced shortly and will also receive their award on 23 February. Noel Williams has written and edited guide books that have inspired thousands of mountain walkers and climbers. His great knowledge of the mountains, shown in his books, guides and magazine articles, has been garnered through painstaking research and thousands of hours exploring the hills, from being author of Scrambles in Lochaber in 1985 to being editor of Highland Scrambles South for the SMC in 2017. His interest in geology has also reached print, and he was co-author of Ben Nevis and Glen Nevis (NCC 1989) and Exploring the Landscape of Ben Nevis & Glen Nevis (Nevis Partnership 2016). He has also contributed photos to a number of different guides. Noel was a member of Lochaber Mountain Rescue team for many years and for a while was deputy leader. He was involved in some big lowers on the North Face of Ben Nevis, including the first night-time lower on the Orion Face. He retired from the team in 2011. He has also been a member of the Scottish Mountaineering Club (SMC) since 1982, where he took on roles of Vice President from 1997 to 1999 and President from 2014 to 2016. He was also editor of the SMC Journal from 2008 to 2014. Noel taught for 10 years at Lochaber High School where he was involved in running the school mountaineering club. Several of his pupils went on to become members of Lochaber Mountain Rescue Team. He later taught at Kinlochleven High School until his retirement in 2005. Although he claims to be not much of a runner, Noel Williams has completed 21 Ben Nevis Races, as well as Tranter's Round and six marathons. He has also completed quite a few new routes on the sea cliffs of Skye. Visit the website to find out more about the Fort William Mountain Festival programme 2019. Further information on The Scottish Award for Excellence in Mountain Culture. Noel Williams. Photo by Dave MacLeod.